Everyone has a spare in their car trunk. It’s often forgotten until you need it, but it gets you going until you can get a new tire. So do you have a spare workstation or notebook? For many businesses, that’s a tough question. We all know equipment eventually breaks and there is never really a good time for it to happen. However, you can’t complain that you’re losing time and overly inconvenienced if you haven’t planned for this contingency. Each year you should be budgeting to replace one-third of your fleet of workstations or notebooks. Then you don’t have a gigantic purchase in a single year and you stay under hardware warranty and software support. Hopefully and more importantly, you should be leveraging more productivity from that current technology too. We’re not talking about that 8-year-old workstation that is still running Windows XP for your spare. Do it right and buy a new workstation or notebook. A common place to setup and use a spare is the conference room. That way it can both run presentations and have the standard applications if someone needs to use it temporarily. Users should be well versed in not saving items to their desktop, but rather OneDrive or SharePoint so they can access necessary files from anywhere. 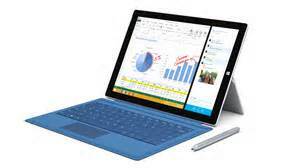 If budget is an issue, another recent alternative is to purchase a Surface Pro 3 and load it with your standard applications. Regardless of your approach, people are your most important asset. Without providing them the best tools to do their jobs in normal and contingent situations, you are just costing the business and hurting your customers. That’s why we require you to have a spare. Depending upon the size of your staff, you may need to have 2-3 spares at all times. It’s just smart business.